Lots of posts coming this week about Blogher and my review tomorrow of The Help, but a fun Wordless Wednesday picture today. 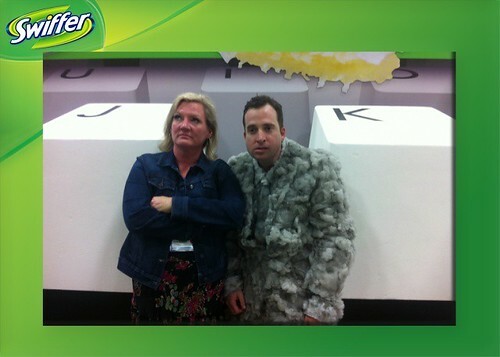 Proctor and Gamble had the Dust Guy from their Swiffer commercial so I spent some time with him hanging out at the Space Bar, right between J and K.
I am loving this photo!! The facial expressions are priceless!